Herman Tobiansky purchases land from the Johannesburg Municipality to develop as a residential area. Sophiatown grows, attracting other racial groups, mainly Africans as residents. Coloureds and Indians are still a minority at this stage. Sophiatown’s population grows exponentially as compared to growth in the other adjacent freehold townships of Newclare and Matindale. Successful slum clearance in the inner city leads to further growth in Sophiatown’s population. During the war years Sophiatown continues to grow. Some of the residents, Africans included, enlisted in the army. Henry Nxumalo, a well known Sophiatown resident and journalist is one of those that went to war. Anecdotal evidence suggests that Sophiatown was not untouched by the African miners’ strike. The Native Laws Amendment Act of 1952 is passed, destined to provide the NP government with the legal mechanism to remove Sophiatown residents and resettle them in Soweto. 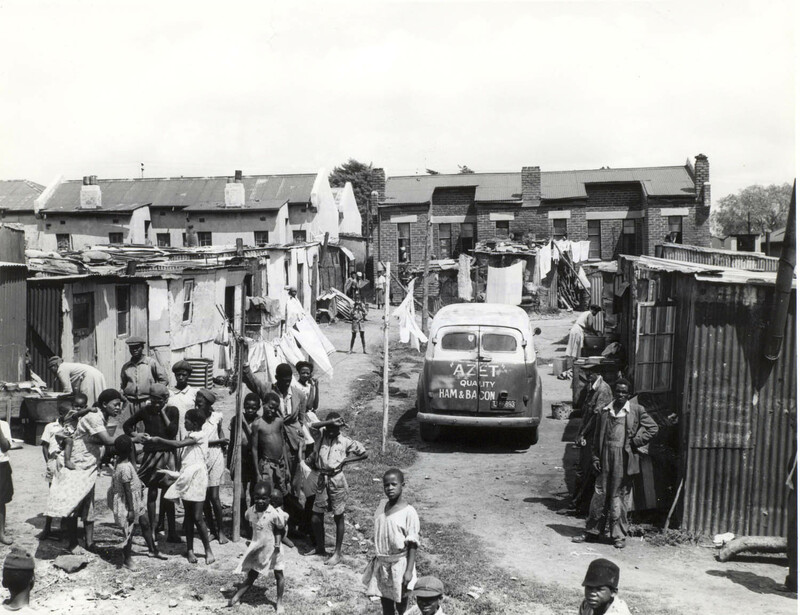 The NRB conducts a survey of Sophiatown residents in preparation for the forced removals that began in 1955. Residents of Sophiatown hold regular meetings in an attempt to coordinate the resistance to the impending forced removals. The ANC becomes involved and there is talk of the M-Plan that would scupper the NRB’s plans. end of January, Police are deployed in Sophiatown in anticipation of a major resistance effort against forced removals. 9 February 1955 - November 1959, Duration of the destruction and removal of the community from Sophiatown to Soweto.